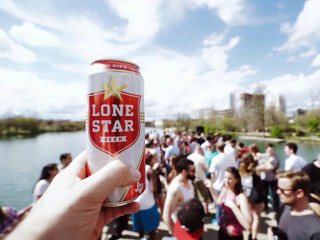 Lone Star Beer is launching pretty much the most Texan event ever: a free festival celebrating Texas music, Texas food and (you guessed it) Texas beer. The music lineup includes Old 97's, The Black Angels, Grupo Fantasma, Dale Watson and LaTasha Lee & The BlackTies, with more local acts to be announced. A "Texas-sized assortment" of food, drinks and activities (live mural painting, a photo booth and carnival games) will round out the experience. Admission is free and open to those 21 and up. A limited number of $25 tickets for guaranteed entry (proceeds will benefit the Capital Area Food Bank of Texas). Admission is free; $25 tickets availble for guaranteed entry.